I have to admit, as a Gen Xer, I was always hesitant to sell things online. I tried selling a necklace on eBay once and failed miserably. E-commerce seemed complicated and inconvenient, especially since a Goodwill donation was so easy! However, I have recently changed my mind. A few months ago, I purchased an expensive dress at a department store. After trying it on at home, I decided I didn’t love the dress and would need to return it. Unfortunately, I procrastinated and, of course, missed the return policy deadline. So now I was stuck with a brand-new dress and no way to get my money back for it. I went to several consignment shops in my area, but they wouldn’t accept it. Apparently, the dress was “off-season,” and I was told to come back in a few months. I really didn’t want this to be another Goodwill casualty. That is when a friend recommended selling it on Poshmark. Poshmark is one of many secondhand fashion websites where individuals can resell used and new clothing and accessories. Other similar sites include Vinted, Tradesy and Thredup, but Poshmark is by far the leader among them. My girlfriend said she successfully sold many items on the site. And she was posting a range of items from Old Navy T-shirts to Coach handbags. I thought, what do I have to lose! So, I downloaded the app, created my profile and started listing items in my “closet” (including that unreturnable dress). I quickly realized there was more to this than meets the eye. Poshmark is a community with thousands of sellers, each having hundreds of items in their “closets.” Buyers can browse items and make offers, much like e-commerce sites (think eBay). But you also need to connect with other sellers, much like a social media platform (think Facebook). This hybrid of e-commerce and social channel made for a very different experience. The key to successfully selling an item on Poshmark is to get your items recognized. But how do you do that? 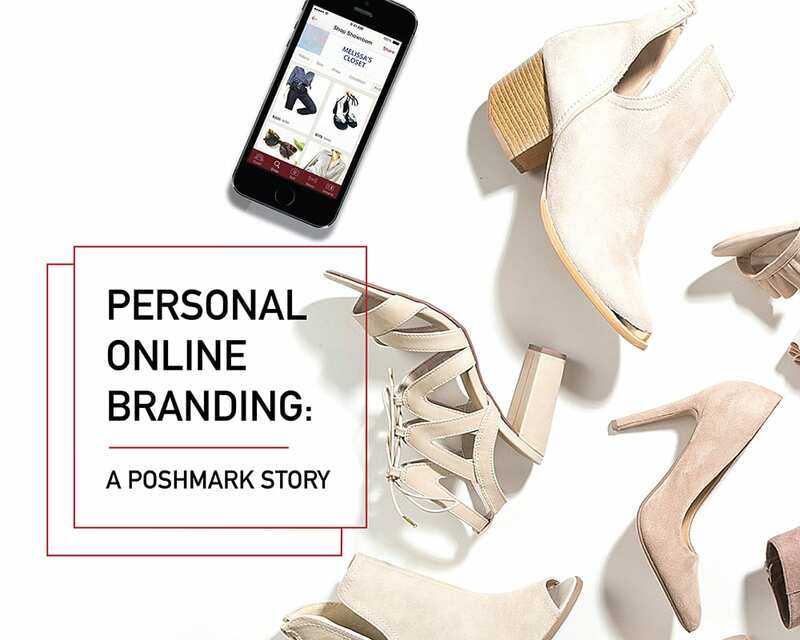 Much like other social media channels, Poshmark runs on an algorithm. The more you share, connect and like with other users, the higher you will place in feeds. It’s not enough to have lots of followers and shares. You must be active on the site daily to ensure the algorithm keeps you at the top of everyone’s feed. It’s not just a selling forum but a social media experience! The other big factor is your closet. You must make each listing as enticing as possible. Your cover photo should be the most appealing. Good lighting and item placement are key to attract potential buyers. Take a lot of photos and be upfront about imperfections. Give lots of details on the item, including size and condition. Buyers can leave comments and ask questions. You want to anticipate any potential questions, so buyers are comfortable ordering from you. As I loaded more items and became more comfortable with the process, I realized: I am now a brand! That is not an accident; it is completely by design. Poshmark encourages sellers to add more pictures to their profiles, as well as provide personal style information for followers. They want you to share style tips and talk about fashion. Are there certain brands in your closet that speak to your style? What does your closet say about you? In addition, how are you sending your purchased items? Are they packaged nicely? Cute packaging, thank-you notes with your shipment and positive buyer reviews all serve to promote your brand. You want buyers to return to your closet again and again, so you need to make sure your closet is leaving a positive impression. And if people like your closet, they will share with others, thus exposing your brand to more potential buyers. In the end, Poshmark has been more labor-intensive than I originally anticipated. There is so much to consider other than just listing an item for sale. The mix of e-commerce and social elements results in a lot of time spent on the app. But the social media aspect of Poshmark has made the process engaging and enjoyable. Plus, I’m promoting myself, not just selling clothing and accessories! In retrospect, it seems only logical that online selling would merge with online social. People want to buy more than a product. They want to buy a story too. I’m happy to report that the effort I put into my brand has already paid off. I was able to quickly sell that new dress at a fair price. And I’ve sold a few other items as well! This Gen Xer now feels pretty confident in her newfound online sales abilities. Maybe it’s time I gave eBay another try. Melissa has more than a decade of marketing and account management experience, including strategy development, brand development, integrated marketing communications, program management and account service. She has a diverse personal roster of client experience with both B2B and B2C for industries such as grocery, retail, consumer package goods, hospitality and medical device. Melissa holds a bachelor’s degree in law and sociology from American University in Washington, D.C.